The Samsung Galaxy S4 is rumored to come with a range of new features, and now we have some details on another possible new feature that will launch with the Samsung Galaxy S4, Samsung Orb. Samsung Orb is a new camera feature that will launch with the Samsung Galaxy S4, and it will work in a similar way to Photo Sphere which was introduced in Android 4.2 Jelly Bean. According to the details revealed, Samsung Orb will allow you to take 360 degree panoramic photos with your Galaxy S4, and this new camera feature is rumored to be even better than Android’s Photo Sphere feature. So far we have heard that the Samsung Galaxy S4 will come with a 5 inch full HD display with a 1920 x 1080 pixel resolution, and will apparently be available in two variants, one for the US and one for Europe. The US version of the Samsung Galaxy S4 is rumored to come with either a quad core Exynos 5440 processor or a quad core Qualcomm Snapdragon 600 processor, and the European version of the handset is rumored to come with Samsung’s new 8 core Exynos Octa 5 processor. The Samsung Galaxy S4 will also come with a rear facing 13 megapixel camera for photos and video and a front facing 2 megapixel camera for video chat, and it will also feature 2GB of RAM and a choice of 16GB, 32GB or 64GB of built in storage. As well as the introduction of Samsung Orb in the new Galaxy S4 we are also expecting to see a number of new features which include new touchless gestures and eye tracking technology. 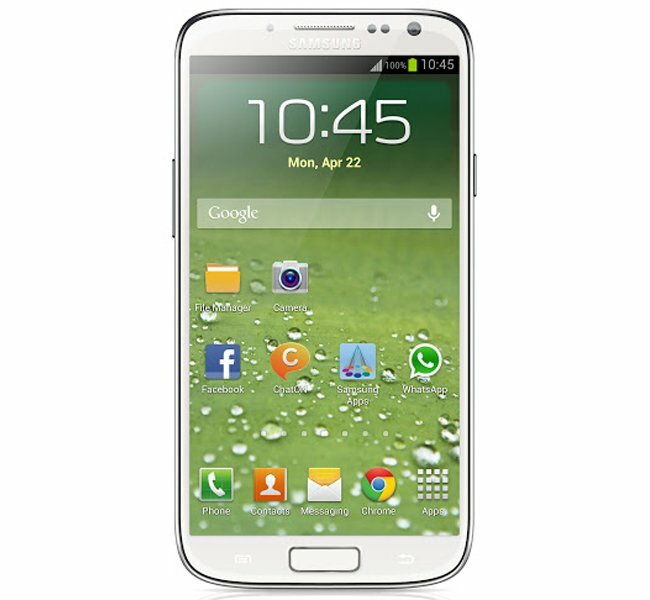 The touchless gestures will apparently be a major feature on the Samsung Galaxy S4 and the touchless gestures could work would allow you to simply lift the Galaxy S4 to your ear and your incoming call would automatically be answered. Another major feature on the Samsung Galaxy S4 will be the eye tracking technology with recent patents discovered for Eye Scroll and Eye Pause technology, as yet we do not have any details on exactly how these features will work. We are expecting Samsung to officially unveil their new Galaxy S4 smartphone at a press event next month, the Samsung Unpacked event is rumored to take place on the 14th of March in New York. From what we heard previously Samsung will launch the Galaxy S4 worldwide in April, and we received some details a while back from one of our sources with a possible launch date for the device in the UK some time between the 15th and 22nd of April. The Samsung Galaxy S4 is also rumored to come with Android 4.2 Jelly Bean, and it certainly sounds very interesting, if it does come with all of the rumored features then we suspect the Samsung Galaxy S4 will be even more popular than previous Galaxy S devices.